ESPN brought the College GameDay crew to freezing-old Indianapolis for the Big Ten Championship game today between undefeated Ohio State and one-defeated Michigan State. 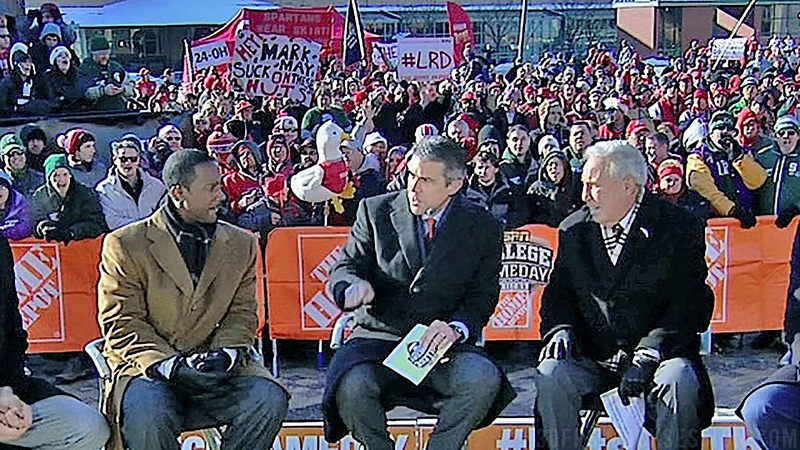 Turns out people don't like Mark May. Who knew? Let's get cracking on some more signage. As always, hit expand to find the deep cuts.